Hop aboard with a friend. With dual MirageDrives providing pedal power, maneuvering is a snap even when the zephyrs subside. 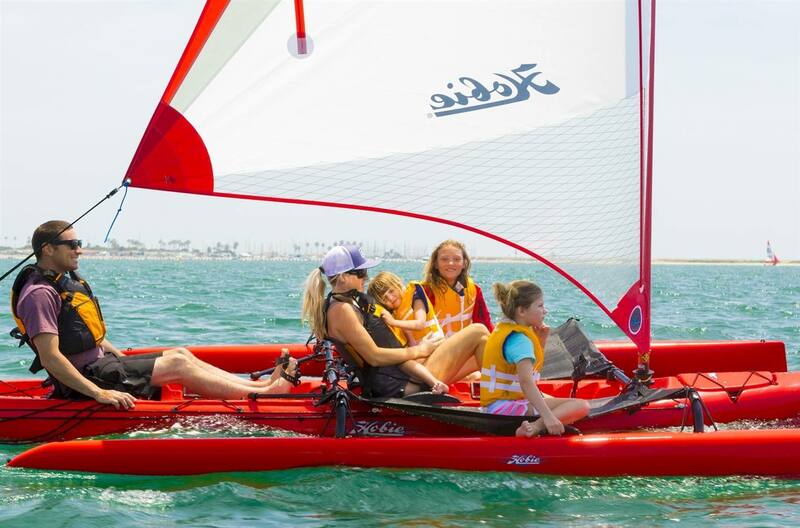 The central hull is pure high-end Hobie with all the expected features: multiple Twist and Seal hatches; a large bow hatch for below-decks storage; lever-operated rudder and centerboard deployment; and dual rudder control. 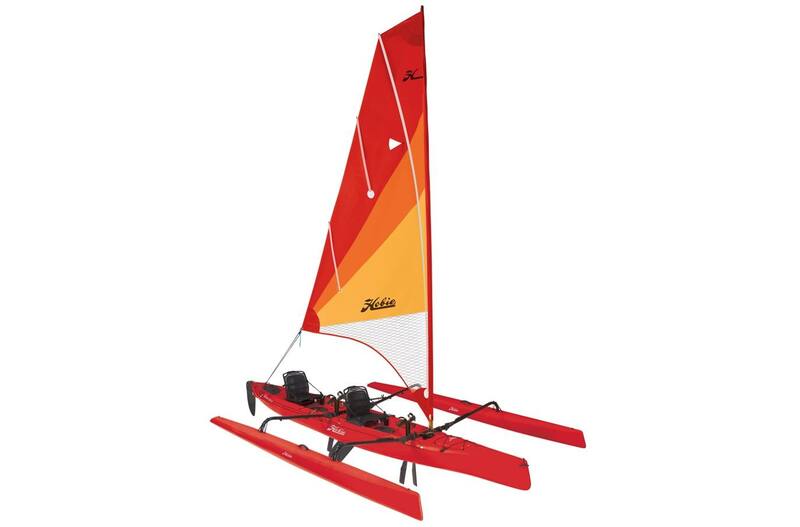 This is Hobie's ultimate fish hunter, capable of marlin teasing trolling speeds. Large Bow Hatch: Enables easy access to the bow's stowage compartment. A security strap with a detachable clip tethers the hatch; abovedeck, Bungee® cords secure extra gear. Mesh Stowage Pocket: Easy access and safe stowage for the things you reach for most. Now made with rubber for improved durability. MirageDrive 180 with ST Turbo Fins: Revolutionary hands-free propulsion system. 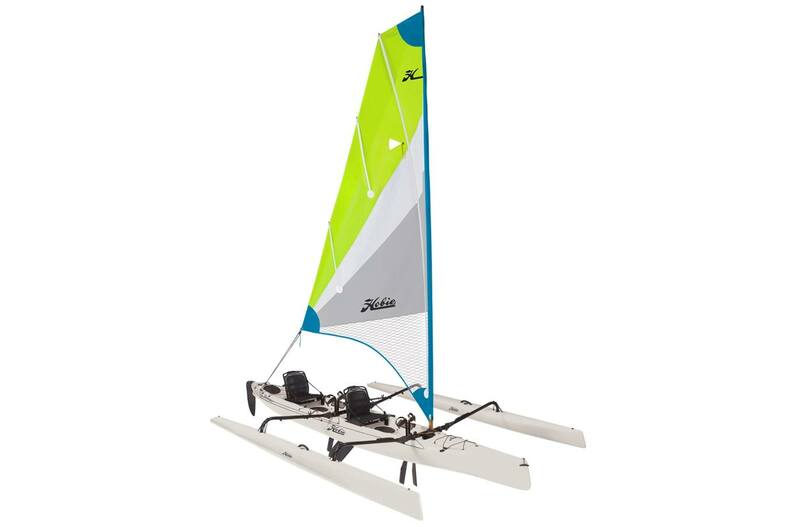 When pedaled, the flexible fins assume the shape of a propeller blade, providing forward motion with each pedal stroke. 8" Twist and Seal Hatch: An efficient corkscrew mechanism ratchets down this hatch, keeping stowed items secure irrespective of the sea state. The lid is permanently attached to its base via a hinge, so you don't have to worry about leaving it at last night's campground. Rudder Control: Soft handle makes fingertip steering easy. Rod Holder: These molded-in holsters securely tote your rods, are perfectly angled for trolling and can accommodate a gaff, nets and other gear. Vantage CT Seating: New state-of-the-art design, with 4-way adjustablity for more comfort in the cockpit or on the beach, Enjoy breathability, infinite flexibility and better visibility. Rear Cargo Area: Big adventures demand plenty of gear. These molded areas and Bungee® tie-downs ensure that it's still there when you get to camp. Molded Carrying Handle: Ergonomic handles fitted to stainless padeyes make portaging easier and more comfortable. Cup Holder: Cold, hot or somewhere in between--we've got a convenient spot for your favorite beverage. Powered by MirageDrive 180: The ungainly paddle is replaced by the sheer efficiency of the MirageDrive 180, the original pedal kayak drive. With the largest human muscle group now in play, kayaking becomes easier and more efficient than ever. Adjustability begets comfort: The Vantage seating system provides the comfort needed for long stretches out on the water. The seat-back, bottom, height, and lumbar-support are all easily adjustable. 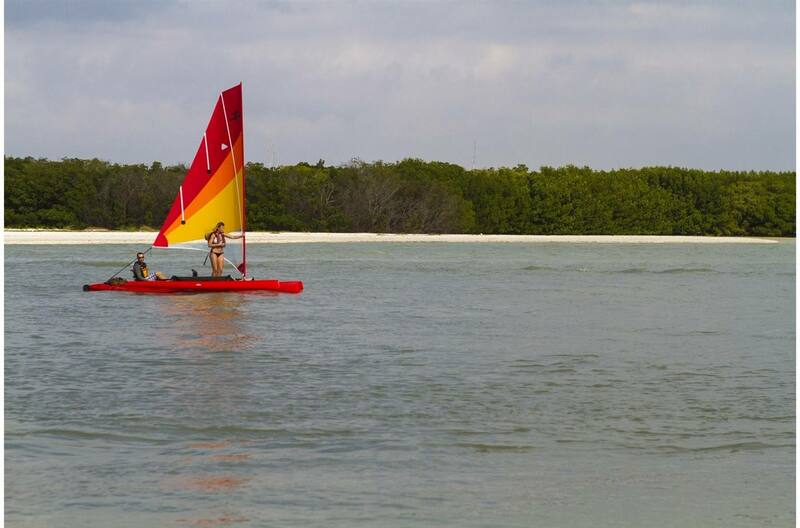 Hobie Island Club: Join the Hobie Island Club with your fellow Adventure and Tandem Island owners. 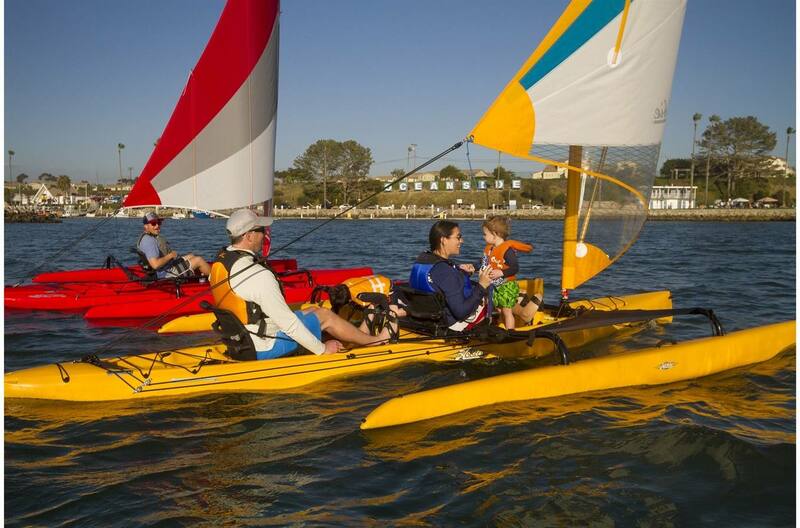 Hobie Island owners are now sailing on oceans, rivers, lakes and waterways in over 40 countries worldwide.